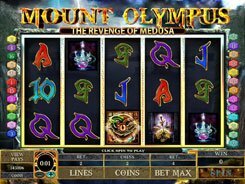 This is a very colorful and nicely designed slot played over 5 reels and developed by Microgaming. 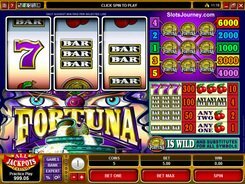 The game is based on a 243 ways to win system, so winning combinations are created by hitting three or more symbols on adjacent reels starting at the leftmost reel. 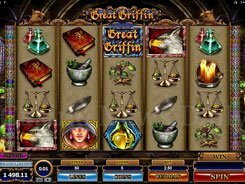 Mystique Grove is a magic and nature themed slot, and the symbols set includes traditional playing cards, pink owls, elves and evil queens. 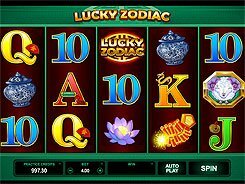 Betting options will appeal to all players no matter what their bankrolls are, since a bet per spin ranges from $0.25 to as high as $250. The game features a wild and a scatter. A wild substitutes for all regular symbols, but it does not create winning combos on its own. 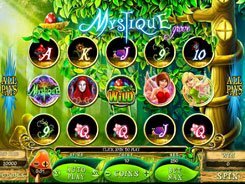 A scatter (Mystique Grove’s logo) is the most alluring symbol in the slot as it pays out $12,500 for five of a kind. Besides, three or more scattered logos activate the bonus feature. On the second screen, you are to select from fifteen flowers keeping picking them until you see the Collect word that finishes the feature. Each selection gives you an instant coin reward.